There is so much that goes into proper tree care. Fortunately, when it is done right, your trees will give you a wide range of benefits. Tree trimming and pruning is part of care and maintenance that trees need. This is not just ordinary cutting down of some parts of the tree; it is an art and takes a whole lot of skill and experience. Sustaining the health of your trees is imperative and these services are the main pillars to ensure that your trees are growing in the right manner. A professional tree service company will be able to offer trimming and pruning services and not affect the natural appearance of the trees on your property. 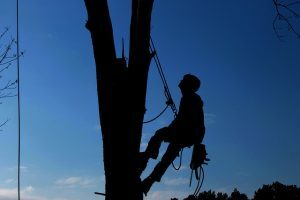 The choice to trim the trees by yourself could be disastrous as you may end up affecting the trees or causing injuries to yourself and others that are around. As mentioned earlier, it would be false hope to assume that you can just go out and start trimming the trees. There is a whole lot that goes into the process as you would need to understand the biology of the tree. Remember that the main objective is to stimulate proper growth and cause the trees to become healthier. If you will end up with an arborist that does not have the skills and knowledge required to trim trees, you may suffer a lot. If trees are not handled as they ought to be, then there is a chance that you may cause irreversible damage and affect its growth. 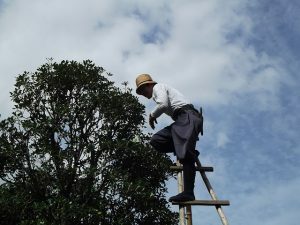 With the experts, they will be able to shape the trees and improve the beauty of your landscape. Diseased and unhealthy trees are removed as well as the branches that may be hanging dangerously. Trees are able to resist pests and diseases to a great extent. If you are not sure when the tree experts should come in, we will share some indicators that you can use. For instance, if you have some branches that are too close to power lines or are hanging towards your home, call us in. In addition, if you spot some unhealthy branches, you need the services of an expert. You can also call us if you law appears to be unkempt and you would love them to be trimmed and pruned to get a curb appeal. We are always ready to serve our clients and we take our work quite seriously.